A linebacker is an imposing force on a football defense and in Florida, linebacker Raksha Bethencourt, a woman in a supposed “man’s game,” is trying to be imposing on more than just the field. A 24-year old legal assistant and single mother described how tough it is to juggle all these activities in her life. Bethencourt’s parents did not not allow her to play football at first. Bethencourt went through youth playing soccer and dancing, and modeling. Bethencourt balanced athletics and school along with raising her daughter, whom she had at 18-years old. But two years ago, everything changed when she watched a special teams play on television during a game. Determined, she went out to learn as much as she could about the game.Training weeks for a tryout with the Women’s Football Alliance’s Orlando Anarchy. In the first step of a long journey, she made the team. When she put on the cleats, she decided to take off the dancing shoes. 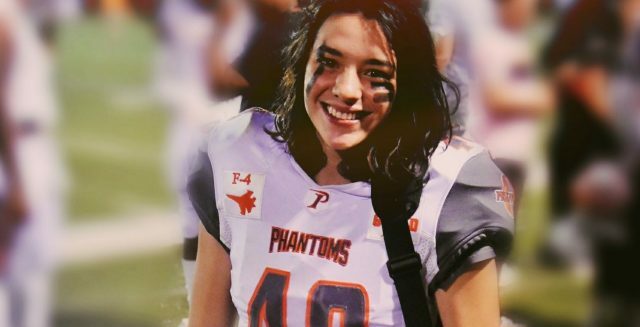 She decided to try out for the Orlando Phantoms, an all-male football team in the United Football Federation of America. She was persuaded to go to the tryout by an unlikely source. Determined she decided to try and become the first woman ever to try out for the Orlando Phantoms in franchise history. When she arrived, though surrounded by men who were bigger and faster than her, she had only one thought in her head: she was there to get the job done and ignore the noise. The hard work paid off. She was surprised by squad members that she had made the team. Ecstatic, she picked up the phone to call her parents to tell them the news. Though not really fans of the idea of her playing, were behind her. Throughout her time and experience playing football with all men, she does get trash talk. But she shrugs it off and pushes forward. Bethencourt’s vibrant personality and drive has touched not just the players, but team owner Michael Torres, who remarked on Bethencourt’s impact on the team. 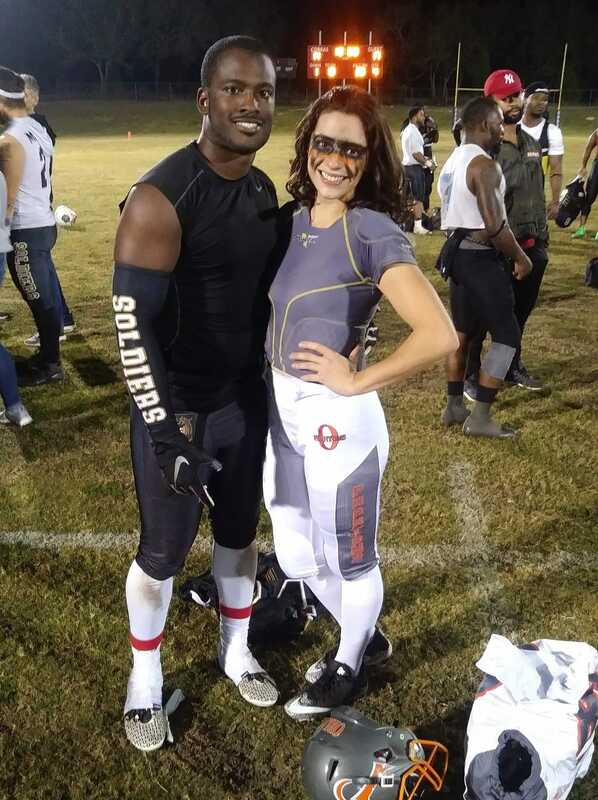 The energy has caught the attention of her opponents, including West Coast Soldiers cornerback and gym owner Max Paul. 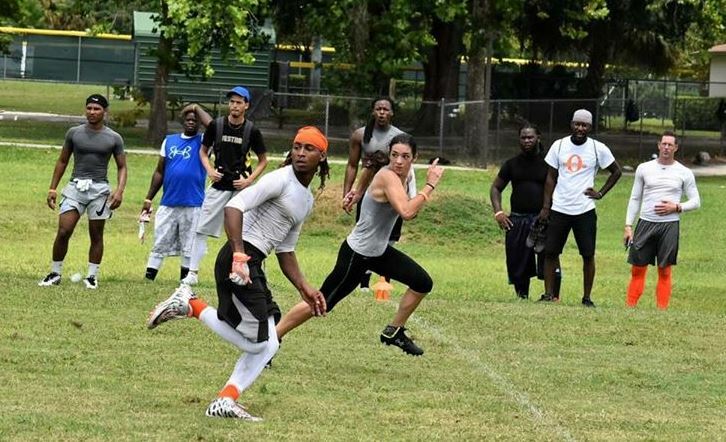 Bethencourt’s biggest dream, other than possibly making it to the National Football League, wants to be a pioneer in the movement to allow children of any gender, race or creed to play one of the world’s most physical sports. 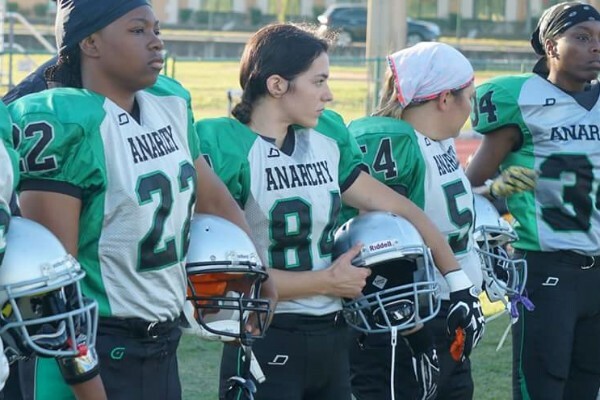 Like east Los Angeles free safety Antoinette “Toni” Harris who recently appeared in a Toyota ad the night of the Super Bowl, Bethencourt wants to break the barrier and inspire everyone to grab whatever pot of gold they’re after.